From time to time I will be adding posts here. Some will be short essays, some will be drawings or pictures or photographs, some will be poems. All will touch on the topic of psychotherapy to some extent or other. My current software permits no responses from readers on this page, although I would be interested in responses. If you wish, you can email me your reactions: info@DrJimCarpenter.com. MLK Day is always stirring for me. I remember how much we owe King, how unique and effective he was. We were all changed by him, and learned a lot about how to change without tearing each other to pieces. Yet race and our legacy of slavery is still such a huge dilemma for our society. Here is a little essay I wrote some years ago for our local NPR station on the anniversary of his death, that says some thoughts about how he changed me, and my profession of psychology, and all of us. During the time of a meeting I attended recently in Memphis, my wife and I and several colleagues found our way to the Civil Rights Museum built around the old Lorraine Motel where Martin Luther King, Jr. was murdered. It’s a grim spot in a rather grim part of town, but the museum is well conceived and carried out. It places the struggle for racial equality in its historical context, and tells the story of its developing drama. To go through the museum is to pass through that drama in time, and experience it somewhat. The pacing and tone of the displays recreate the building drumbeat of tension and drama through the 50’s and early 60’s, rising to a pitch in those very dark days of 1968, and then carry us forward from there. I won’t try to tell it. If you haven’t seen it, please do. Afterward I was flooded with memories. I was lucky enough to be in the right place and time to have experienced some of that drama firsthand, to feel history unfolding right around my body. I was a student at Duke in 1960 when the sit-ins began in Durham and Greensboro. 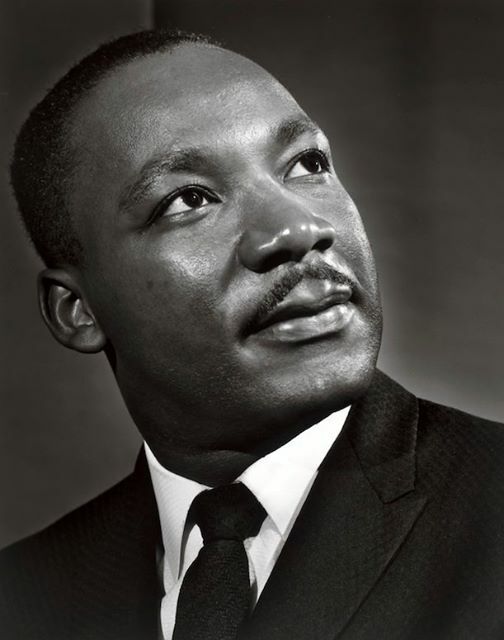 I remember standing in a little line of Black and White students from Duke and NC College (now North Carolina Central University) in the bleak, upstairs, downtown office of attorney Floyd McKissick, nervously reciting the oath of non-violence that had been written, we were told, by King. If we were shown hatred and violence we were to respond with compassion and kindness. The next day we hit the sidewalks and lunch counters. It was exciting and frightening, and sometimes rough and dangerous. At sit-ins when Whites participated, each White student was paired with a Black partner whom we sat beside at the lunch counters at Woolworth and Kress. When we were asked for our order we were to say “My friend was here first. Please take his order, and then I will be happy to order.” The Black kid would be ignored, tension would rise, and sometimes a chorus of howling and taunting and spitting and punching would envelope us before the police arrived to drag us away. My first day I was paired with a young man named Charles. As usual for me, I forgot his last name instantly. After we sat down together I noticed an odd little movement of his hand resting on his thigh. It was a very rapid, faint trembling. Then beneath his sleeve I could see his arm was trembling too. And then I realized his whole body was shaking with fear, very quietly and almost invisibly. Only his face was solemn and completely still, and when he said “I would like to order now, please,” his voice was as clear and mellow as a muted trumpet. Later that day, after I had gotten out of jail and was in the dorm trying to study, I put a word to it: in Charles I had seen courage. The other Dukies and I were scared, but we were probably not as deeply scared as the Black kids. If the world did not always seem to belong to us, we had a sense that it always might. Charles was flying in the face of all he had been taught he must surely never even think to do, at the price of his life and the structure of the world. He was shattering reality! When I next saw Charles I learned that he had come out of the police station much later than I had, and I saw that he had bruises that I did not. I didn’t get to know Charles very well, although I saw him a few times later over the time in which I most actively participated. He had grown up near Durham, and was curious about life in New Mexico, where I had come from. I learned that we were both Psychology majors. He was a terrific dancer, and was amused to see how poorly some of us White boys did that. In the spring of ’61 I had a fateful choice. I could ride the Freedom Bus into the deep south to confront the beast more fiercely, as I had signed up to do; or I could take the summer job that would financially permit me to return to school. I chose the path back to school. Although I kept up some picketing the next fall, for the most part my personal bit of soldiering was over. I always swelled with pride, though, at every telecast showing how all the other soldiers still carried on. This taste of history changed me, and it certainly changed my generation. We knew, deep down, that things can change! I know that the profession I was about to enter changed. I think it’s no accident that Charles and I were among several Psychology majors I knew in our circle of troublemakers. Of course there were many other types: some like the woman who became my wife were English majors, some were Divinity students, some pre-law in History or Poli Sci. Yet many were Psych majors, all of whom were plotting implicitly to burst beyond the little Stimulus-Response circles they had seen scratched on so many Blackboards. As all those young men and women entered their graduate training, we could feel Psychology itself bursting out of its old seams. It was not only Jim Crow that could be brought down. There was a new passion and reason for studying the mind and the social context. Are there other ways that society stifles health and freedom? Then change society! Do corporate environments stifle creativity? Change them. Do families sometimes poison the emotional health of offspring? Change families. Do schools create as much ignorance and passivity as enlightenment? Change schools. Can mental hospitals make crazy people crazier? Change hospitals. The methods of Psychology gave us ways to understand how social context influences human functioning and well-being. Statistics had a point. And with real understanding we could craft helpful change. My generation set about trying to understand social situations and create better ones. Whether we were opening alternative schools, or consulting with businesses, or modifying family communication as family therapists, or fashioning therapeutic dyads in our relationships with individual clients, we had the empowerment of knowing that change can happen. Those of us who became therapists felt entitled to believe that in our sessions we could shape a little environment of hope and change, in which we could venture (in Auden’s words) “in the deserts of the heart” to try to “let the healing fountains start.” We all believed that institutions of all types and sizes that seemed as natural and permanent as mountains can be penetrated with knowledge and nerve and changed for the better. All of our fields of endeavor were altered, more or less. The law would never be the same, the ministry was changed forever, education would always after have a new depth to its mission. The arts had a new angle of refraction into the soul. Change was our right and our destiny. It was the wonderful, terrible drama of the Civil Rights Movement that taught us that, Black and White. In retrospect, perhaps there was some arrogance and naiveté with all of that, but that shouldn’t shame us. When we’re young, we’re young. Sometimes as I drive down I-40, again in Durham, I wonder if Charles is in one of the cars whizzing by me. I’m sure we wouldn’t recognize each other now. I wonder what he’s done with his Psychology major, with his life, . I’m sure, when it was needed, it was something brave.